If you are dealing with an estate administration where there are assets in the Channel Island of Jersey, it can be difficult to know how to deal with these assets. It can be particularly difficult if the deceased did not live in Jersey or you are unfamiliar with Jersey inheritance law. Whether you are an individual dealing with the estate administration or a lawyer dealing with an estate on behalf of the beneficiaries or personal representatives, if you need information about dealing with an estate administration where there are assets in Jersey, read on! I am dealing with an estate administration where there are funds held in Jersey, what do I need to do? When a person dies leaving moveable assets (i.e assets that are not land or property) in Jersey to the value of £10,000 or more in their sole name, it is necessary for the “personal representative” (the person entitled to deal with the estate) to make an application to the courts in Jersey before they can deal with the Jersey assets. A document called a Grant of Probate will be required from the courts in Jersey if the deceased left a will covering the assets in Jersey. If the deceased did not leave a will covering the assets in Jersey (i.e. they died “intestate”) a document called a Grant of Administration will need to be obtained from the courts in Jersey. If the deceased died intestate and had such assets in Jersey, it is necessary to first find out who is entitled to deal with (“administer”) the Jersey estate. This is determined according to the laws of the deceased’s country of domicile and may be established by providing the Grant of Probate from that country (if there is one) or by a legal declaration or notarial certificate. I am dealing with an estate administration where the deceased had a property in Jersey, what do I need to do? Property and land are described as “immovable assets”. Immovable and movable assets are treated differently under Jersey’s inheritance laws. It is not necessary to apply for a Grant of Probate in relation to a will regarding immovable property in Jersey. Instead, the will of the deceased will need to be registered in the Royal Court in Jersey. The Jersey property will automatically pass to the beneficiaries (also know as devisees). If there is no will to cover the Jersey property, the beneficiaries will be determined by Jersey inheritance law. I already have a Grant of Probate from the UK. Can this be used to release the assets in Jersey? Jersey is an independent legal jurisdiction for the purposes of estate administrations and separate to the UK. A separate Grant must therefore be obtained from the Jersey Courts and a UK or other foreign Grant of Probate can not be used to deal with assets located in Jersey. If the person died domiciled in Britain however and a British Grant has been obtained, an application for a Jersey Grant can be made under the ‘Fast-Track’ process. Can I “Re-seal” a Grant of Probate in Jersey? It is not possible to “re-seal” a Grant from the UK or another foreign jurisdiction in Jersey. 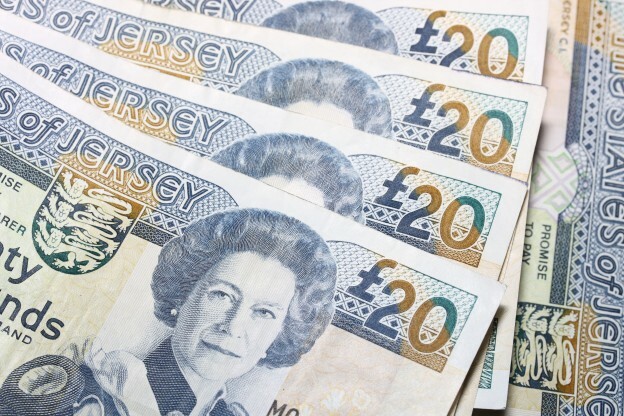 A separate Grant must be obtained from the Jersey Courts. Should I instruct a lawyer to apply for a Grant of Probate in Jersey and release the Jersey assets? The Jersey Court requires that probate applications are made in person as there is no postal system for applications. It is therefore necessary for an attendance at the Court to make the probate application and the court in Jersey sets the appointment date for the application to be made. It is therefore usually easier for a personal representative, especially if located outside of Jersey, to instruct a lawyer who has experience with dealing with Jersey probate applications. The person(s) entitled to deal with the Jersey estate administration can provide the lawyer with a Power of Attorney so that the lawyer can make the application in person at the court and obtain the Grant on their behalf. The lawyer can then collect in the Jersey assets on behalf of the estate. I want to instruct a lawyer to help me deal with an estate administration where there are assets in Jersey, what should I do next? Whether you are a lawyer from outside of Jersey or an individual dealing with an estate administration with assets in Jersey, if you require the assistance of a lawyer with experience dealing with Jersey assets, Worldwide Lawyers can help. Worldwide Lawyers can provide you with general help and assistance and, if required, put you in touch with a law firm with experience dealing with estate administrations in Jersey and making applications for Grants of Probate or Administration in Jersey. Obtaining a copy of a Jersey will(s) from the public registry. Obtaining values of assets in Jersey. Obtaining an affidavit of foreign law. Making the application for a Jersey Grant of Probate or Grant of Administration. Providing a Power of Attorney so that the lawyer can make the Grant application in Jersey on your behalf. Paying any fees or duties due in Jersey. Dealing with a Fast-track application for Jersey probate if the deceased died in the UK and you there is a UK grant of probate.